Tuesday, Judge David Langham, Deputy Chief Judge of Compensation Claims for the Florida Office of Judges of Compensation Claims and Division of Administrative Hearings, wrote a rather lengthy post about the differences between cost-shifting and case-shifting in workers’ comp. Much of what the Judge wrote were subjects that I already discussed in a number of previous posts about cost-shifting and case-shifting, so I won’t go into it here. I am only focusing on the parts that relate to Florida workers’ comp. You can read the entire article yourselves. But what caught my attention was what he said about Florida and what the Workers’ Compensation Research Institute (WCRI) reported in some of their studies on these issues. Judge Langham noted in that post that Florida employers have been documented paying almost double for shoulder or knee surgery that is paid for under workers’ compensation, compared to group health costs. The implication of case-shifting in Florida, he says, could arguably be a doubling of cost. He cited a WCRI report released earlier this year that suggests however that case-shifting is perhaps not as likely in Florida. However, Judge Langham pointed out that the WCRI concluded that case-shifting is more likely in states where the workers’ compensation fee schedule is 20% or more above the group health rates, and not in Florida. Judge Langham stated that this analysis of workers’ compensation fee schedules does not appear to include analysis of the reimbursement rates for hospitals, and that It also seems contradictory to the assertions that Florida workers’ compensation costs for various surgeries have been documented as roughly double the group health rates (100% higher, not 15% higher). So, if recovery from such a “soft-tissue” injury required ten weeks off-work, he wrote, the case-shifting to workers’ compensation might add another four to nine thousand dollars to the already doubled cost of surgical repair under workers’ compensation. This could be directly borne by the employer if the employer is self-insured for workers’ compensation; or, if the employer has purchased workers’ compensation insurance, the effect on the employer would be indirect in the form of potentially increased premium costs for workers’ compensation following such events and payments, Judge Langham states. First, fee schedules have to be sufficient such that physicians are willing to provide care in the workers’ compensation system; and second, the reimbursement cannot be too high, or perhaps overutilization is encouraged. This entry was posted in Back surgery, Billing, Capitation, Case-shifting, Cost Control, Cost Shifiting, Direct costs, Employers, Florida, Group Health Plans, Health Care Costs, Injured workers, Knee Replacement, MEDICAL COSTS, Medical Tourism, Medical Travel, premiums, Reimbursement, Reimbursements, Self-insured, Shoulder Surgery, Surgery, WCRI, Workers' Comp, Workers' Compensation and tagged Back surgery, Billing, Capitation, Case-shifting, Cost Control, Cost-shifting, Costs, Direct costs, Employers, Florida, Group Health Plans, Health Care Costs, Injured Workers, Knee Surgery, Medical Costs, Medical Tourism, Medical Travel, premiums, Reimbursement, Reimbursements, Self-insured, Shoulder Surgery, Surgery, WCRI, Workers, Workers' Comp, Workers' Compensation on April 28, 2016 by Transforming Workers' Comp. The Workers’ Compensation Research Institute (WRCI) released a study today indicating that the Affordable Care Act (ACA) may shift claims into workers’ compensation. Readers of this blog will have read by now the following posts from earlier this year that discussed at length what many in the workers’ compensation and insurance industries said would happen under the ACA. The WCRI study is quite long, so I will only give you the introduction and summary of findings. You may purchase the complete study by clicking the following link: http://www.wcrinet.org/result/will_aca_shift_wc_result.html. They refer to this as case-shifting, as opposed to cost-shifting, and state that if just 3% of group health cases with soft tissue injuries were shifted to workers’ comp, workers’ comp costs in a state like Pennsylvania could increase by nearly $100 million. In California, the increase would be higher. More than $225 million, and in Iowa, the additional workers’ compensation costs would be around $25 million, or about 5% of the total benefits paid. One mechanism the WCRI says by which cases would be shifted to work comp is the growth in the number of patients covered by “capitated” health plans. 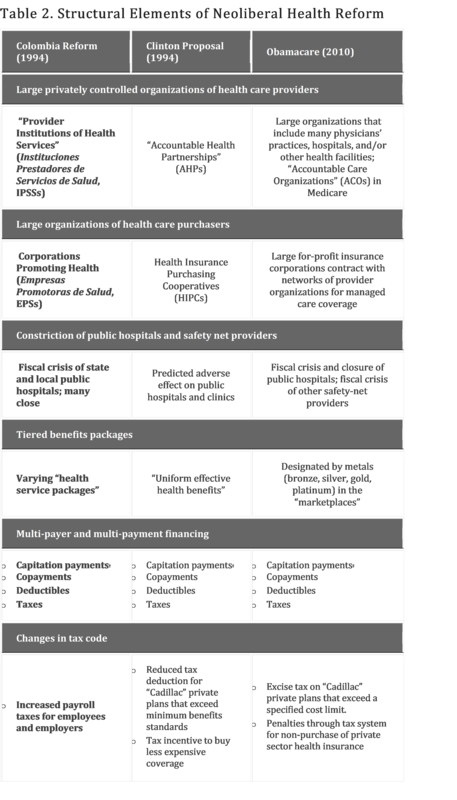 Medical providers are reimbursed for each procedure in traditional fee-for-service medicine, which is often called, retrospective reimbursement. Under capitated plans, the study says, medical providers receive a fixed annual payment per patient, which is often called, prospective reimbursement. As I reported in my previous articles about cost-shifting, a patient covered by a capitated group plan presents different financial incentives about key decisions to a doctor and the health care organization they belong to, compared with a patient covered by a fee-for-service plan. 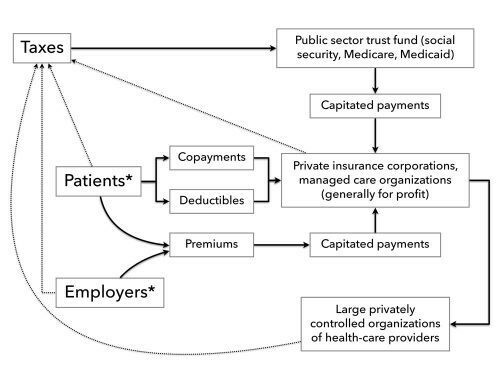 For example, if a capitated patient has back pain, the provider and the health organization do not get paid for additional care; whereas, for a patient under fee-for-service, the provider and the organization get paid for each service rendered. Workers’ compensation, the study points out, almost always reimburses on a fee-for-service basis. The decision of where to send the bill, the study says, should align with the physician’s assessment of whether the cause was work-related or not. It is the amount of uncertainty about the cause of the medical condition that provides the opportunity, according to the WCRI, for the financial incentives to influence the decision. How the ACA ties into this is apparent in my post, “Accountable Care Organizations May Shift Claims into Workers’ Comp.” According to the WCRI, the ACA promotes the growth of ACO’s, which will increasingly integrate care from all providers under one capitated payment. They will receive one fixed payment regardless of the treatment the patient receives. This, they say, will provide strong incentives to classify injuries as workers’ comp cases where possible. To date, over 500 ACO’s have been formed since passage of the ACA. Additionally, the Obama Administration’s proposed moving to “value-based” reimbursement systems for physicians under Medicare (see my post, “Challenges Remain in Physician Payment Reform”), is also cited in the study as another mechanism leading to case shifting. The WCRI states that the exact definition of this system is unclear, but that it is widely understood that this would imply more prospective reimbursement. The WCRI looked at three groups of states. 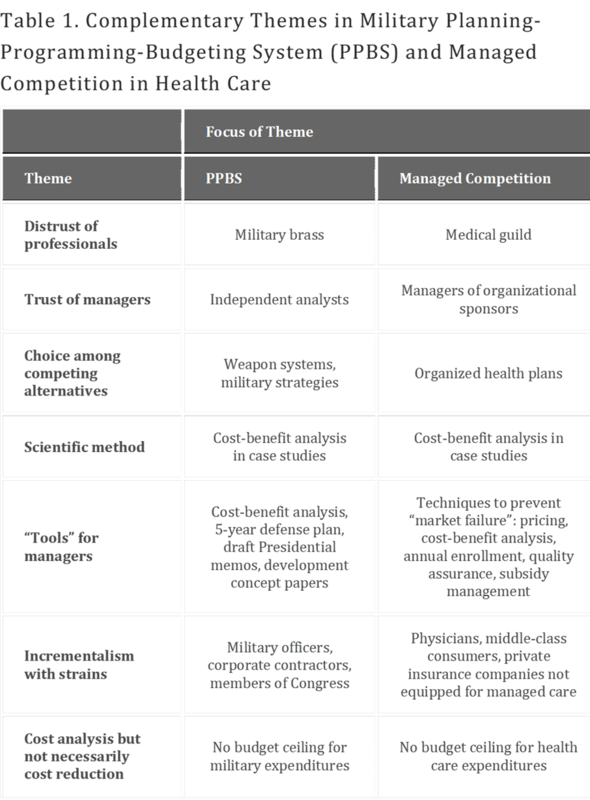 The first group was states where capitated plans were very common, the second group was states where capitated plans were somewhat common, and the third group was states where capitated plans were less common. Case-shifting was only found in states where capitated plans were very common, and there was little case-shifting in the other two groups. Case-shifting to workers’ comp, the study implies, will be expected to increase as capitation becomes more common. Patients covered by a capitated health plan was 11% more likely to have a soft tissue injury (back pain) called work-related than a patient covered by fee-for-service. Patients with conditions for more certain causes (fractures, lacerations, contusions), there was no difference between patients covered by capitation or by fee-for-service; hence no case-shifting. Case-shifting was more likely in states where a higher percentage of workers were covered by capitated plans. Two reasons for this are: more cases would be shifted if more patients were covered by such plans, and when these plans were more common, providers were more aware of the financial incentives to case-shift. In states where at least 22% of workers had capitated plans, the odds of a soft tissue injury being work-related was 31% higher than workers in fee-for-service. In states where capitation was less common, there was no case-shifting. Providers were less aware of financial incentives when capitation was infrequent. This study confirms what I have been reporting on for much of the past half year, that the ACA may lead to more claims (or cases) shifted into workers’ comp, thus adding to the cost of medical care under workers’ comp, and further burdening an already burdened and broken system. But it also confirms that there are rough times ahead for the industry, and that unless new ideas are brought forth and alternatives are seriously considered, and not outright dismissed just because someone say they should be dismissed, no matter how many years’ experience they have in workers’ comp, things will get worse. The world is changing. Things once thought impossible are possible. Ideas once ridiculed are now accepted reality. No one can stop change, not by saying so, nor by any action on their part, so you might as well open your eyes, ears and minds to new ideas, and not shut them just because you don’t agree with them. One day soon, you will be gone, and the problems will still be there. The way forward is to embrace change now so that the future is better for all. Some of you may be thrown off by the title of this article as meaning that the study confirms that the ACA will lead to case-shifting. That is not what was meant. What was meant was that the study confirms what had been previously reported by others and that I had written about in the posts I referenced in my article. If there was any misconstruction on my part, I apologize. This entry was posted in ACA, ACO, Affordable Care Act, Capitation, Case-shifting, Claims, Cost Control, Cost Shifiting, Fee-for-service, Group Health Plans, Health Care, Health Care Costs, Health Insurance, Mandated health care, MEDICAL COSTS, Medical Provider Networks, Medical Tourism, Medical Travel, Medicare, Providers, Reimbursement, Reimbursements, WCRI, Workers' Comp, Workers' Compensation and tagged ACA, Affordable Care Act, Capitation, Claims, fee-for-service, Group Health Plans, Health Care, Health Care Costs, Legal Issues, Medical Costs, Medical Provider Networks, Medical Tourism, Medical Travel, Medicare, WCRI, Workers' Comp, Workers' Compensation on September 29, 2015 by Transforming Workers' Comp.